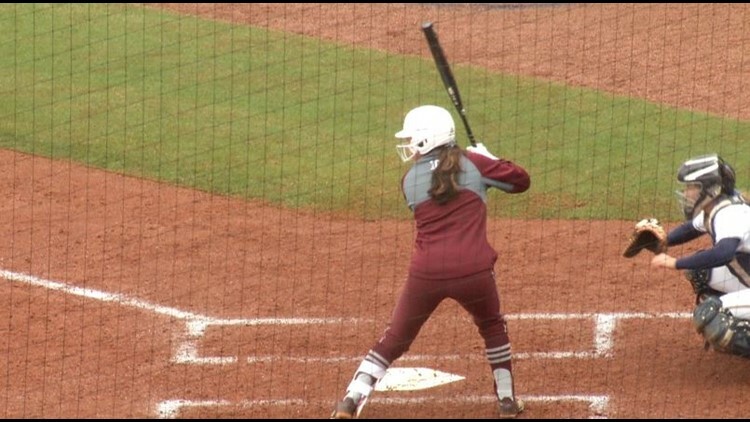 COLLEGE STATION, Texas — Texas A&M Softball’s Riley Sartain was selected by the Aussie Peppers with the 18th overall pick in the 2019 National Pro Fastpitch Draft Monday. Sartain becomes the sixth Aggie to be selected in the NPF Draft, joining Sharonda McDonald (2007), Megan Gibson (2008), Rhi Kliesing (2011) Mel Dumezich (2013) and Nicole Morgan (2014). The 2017 NFCA All-American tops the Aggie offense with six home runs and 19 walks and is tied for first with seven doubles. The Aledo, Texas, native has driven in 24 runs and has scored 26 times, which ranks second on the team. Known for her defensive prowess, Sartain holds a .960 career fielding percentage after starting in 220 games at shortstop and third base throughout her four-year career. Offensively, she has hit 35 home runs with 135 RBI and 31 doubles.